Wow, sorry it took me so long to see these! I was originally supposed to take 4 months of accutane, but my derm decided to give me an extra month. I did blu-light three times a week for two weeks in December, then once in January and once in February. I was actually surprised that the derm prescribed it to me alongside accutane as well! Honestly, I don't think it really helped my skin, but I guess I'll never know. Accutane shouldn't do anything to your period, as it doesn't affect hormones. Every birth control has different effects on different people, so you could consider switching. I know Yaz is notorious for causing bad cramps. Conversely, you could just not take BC, since they only force you to get on BC so that you can't sue them if you wind up with a child with defects. So accutane decided to kick it into high gear in the past week. My lips finally cracked on the side (lovely, I know) and my nose is really dry feeling on the inside, when I breathe. Luckily, my face is clearing up! Today it looked really good, I only had to put a tiny but of concealer on, which is pretty big for me. Bad news is, as I was washing my face for the night, I felt a few budding cysts and stuff, so I am hoping and praying that they'll abandon ship and just go away! Very angry, frustrated, and depressed. I'm breaking out a fair deal, about 4 cysts on my jawline, and 4 or 5 whiteheads elsewhere. Combine that with all my PIH, and its just really discouraging. I've been finding it hard to control the urge to pick at my skin as well, so that is a major contributor. I'm just really down that it's been 75 days and I have very little to show for it. Who Thinks They Can Help Me? Seeing a dermatologist really helps me, and I don't just mean in terms of clearing my skin. 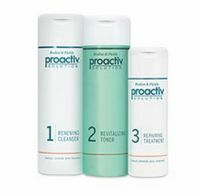 Of course, the product working is the best, but it gives me a lot of security to know that I am being aggressive in trying to rid myself of acne by seeing a derm, starting a new regimen, or trying a new antibiotic, so I can look in the mirror thinking that my situation is being taken care of, and it gives me peace of mind. Almay is a very good brand for keeping the blemish prone in mind. Most of their make-ups are non comodegenic, and some of them contain salicylic acid.